The Surface 3 is a remarkable piece of hardware that could not have existed a year ago. Microsoft's new PC-tablet is just a hair bigger and heavier than Apple's iPad Air, yet it is a full PC that runs all the Windows software you're accustomed to -- including iTunes, Chrome, Office, and the slew of applications your company makes you download to work from home. Combine that with the fact that the Surface 3 has a beautiful screen, day-long battery life, booming speakers, a stand-out design -- and costs just $628 -- and you have a device that would have been unthinkable in 2014. It's an achievement Microsoft (MSFT) should be proud of. But in many ways, Microsoft's hand was forced. It had to be thin. The super-slim iPad Air 2 is able to perform almost all everyday computing tasks, so Microsoft had had to make the Surface 3 light, thin and portable. And the Surface 3 also had to run "full" Windows, so it wouldn't be an iPad also-ran like the Surfaces before it, which ran a scaled-down version of Windows with a limited app selection. It had to be beautiful. Apple (AAPL) has influenced gadget design to the point that even today's cheapest devices are gorgeous. 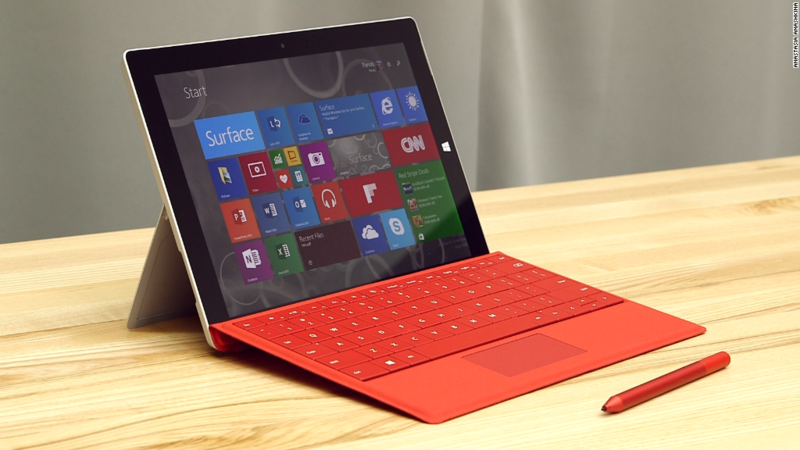 The Surface 3 had to be eye-catching and extremely well-designed. Other than its size, the Surface 3 is almost identical in quality and design to its bigger, $300-more-expensive sister, the Surface Pro 3. It had to be inexpensive. PCs are becoming cheaper, with many Windows machines falling below $300. Microsoft had to be aggressive on price with the Surface 3. 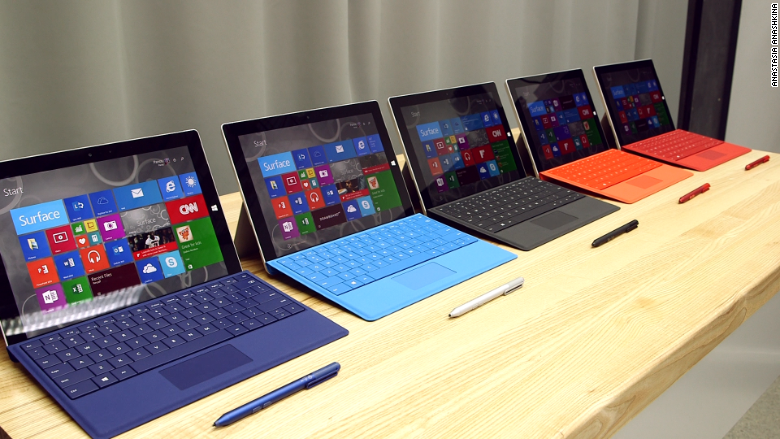 It's as if all those forces squeezed and yanked Microsoft's PC-tablet into the shape of the new Surface 3. But the unfortunate reality is all that pushing and pulling means you'll be making two tough tradeoffs by choosing the new Surface. Size. The Surface 3's screen is small. At just 10.8 inches, it's just big enough and has enough high-resolution to get the job done. But you'll find yourself squinting a little. The same goes for the seriously tiny trackpad. I definitely felt myself running out of thumb and finger space when trying to use the mouse. Even though it's a bit clumsier, I often found myself opting for the touchscreen instead. Speed. 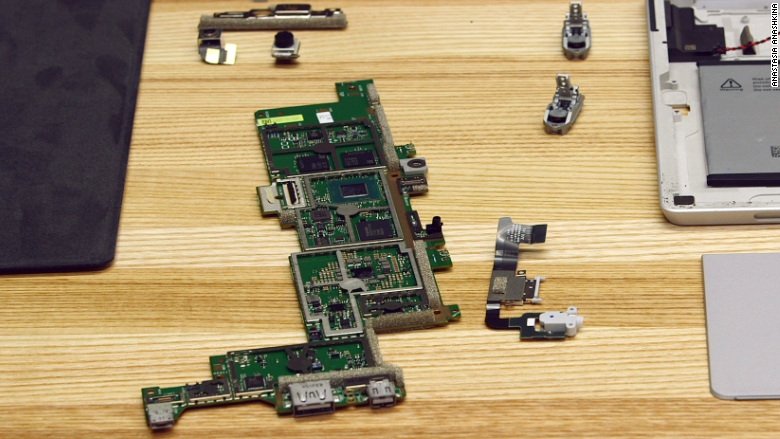 The Surface 3's Intel Atom x7 processor is the top-of-the-line tablet chip. It's definitely powerful enough to run multiple applications simultaneously, stream Netflix (NFLX) and perform other power-hungry tasks. But after opening a bunch of browser tabs and multiple apps, I definitely noticed a few hiccups It's nothing debilitating, but you're not going to get the kind of power of a fifth-generation Intel Core processor that most other PCs in the Surface 3's price range have. The unit Microsoft gave me to review is the $100-more-expensive Surface 3 with 4 GB of RAM and 128 GB of storage. The cheaper model comes with half the memory and storage. Should you buy it? So the question, as always, is: What are you looking for when you buy a PC? 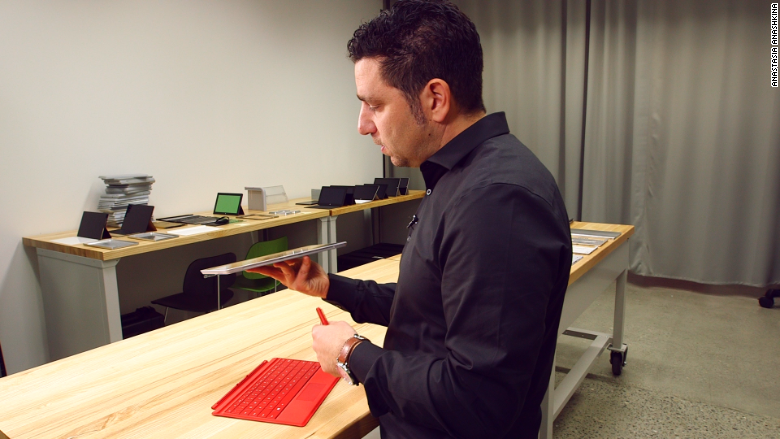 There is nothing else available on the market with the Surface 3's combination of price, design quality and size. If you must have all three, then the Surface 3 is for you. There are more powerful, larger-screened PCs on the market for the Surface 3's price -- but you're not going to get anything nearly as portable or elegant. You could get something just as portable, but not nearly as powerful. 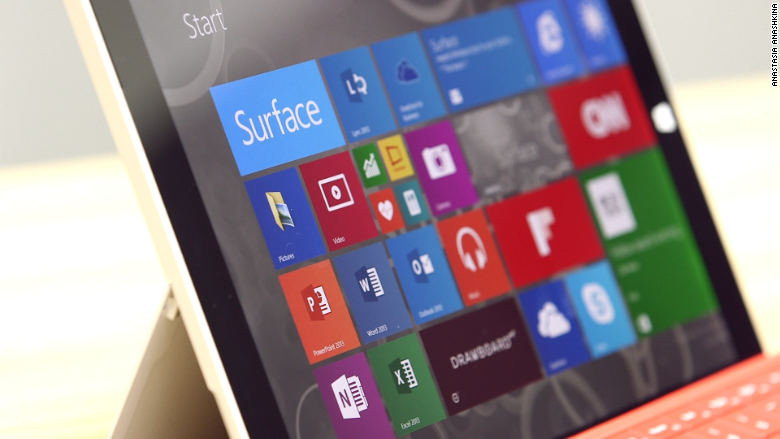 The Surface 3's biggest competitor might actually be Microsoft's Surface Pro 3. The PC-tablet gives you a much more powerful processor and a bigger (12-inch) screen, adding just a half pound of weight -- but also adding $300 to the price tag. Amazingly, speed and size are about the only two things you're sacrificing by opting for a Surface 3 over a Surface Pro 3. The two Microsoft tablets are so similar that the differences can be hard to spot: Some different button placement, a micro-USB charger instead of a magnetic charger, and a three-position kickstand instead of a "continuous hinge." At $628 (technically, it starts at $499, but that's without a keyboard and we're assuming you want a keyboard), the Surface 3 is a good buy. Can it get the job done? Sure. Can it serve as your only PC? For most people the answer is yes. For a computer that's half the width of your pinky finger, that's pretty impressive.